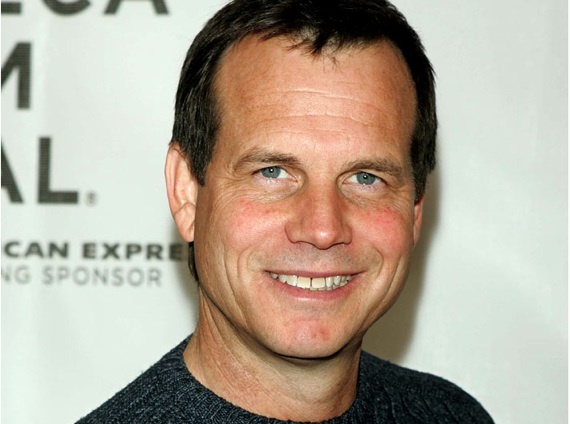 Paxton appeared in some of the biggest films and most successful blockbuster films ever made including Titanic, Aliens & True Lies. It was all a long way from his origins in Fort Worth where he was born on May 17 1955 where his father who, though a salesman for lumber, also yearned to be an actor. It was his father who unwittingly gave his first brush with fame when he took him to see JFK in Dallas one fateful day when he was hoisted onto shoulders to see the president a few hours before JFK was assassinated. A photograph of him exists in Sixth Floor museum in Texas. Too young to understand what had really gone he later developed an interest in film and with his friends started making films on super 8 and after graduating from High School he moved to LA in an effort to try and get into films and worked in a variety of jobs on film sets including set dresser, set builder and production assistant and it was on a low budget movie ‘Galaxy of Terror’ where he met fledgling director James Cameron. The pair of them hit off and together they built spaceship interiors out of whatever they could lay their hands on. He was unsuccessful in getting into film school so turned to acting where he enrolled into new York University dropping out after two years to go back to LA and follow acting in Hollywood where he gained a small part as a walk on in the Bill Murray comedy ‘Stripes’. By then he had been married for less than a year and was already divorced. After blink and you miss him roles in TV series he started doing films but again in minor roles in long forgotten films but in 1984 Cameron was in touch with him casting him as a punk in The Terminator. It was a minor role but was followed by roles in Weird Science, Commando. Cameron called again and cast him in ‘Aliens’ as Hudson, a comically over macho but ultimately terrified marine talking on the monsters. He thought the audience would hate the ever hysterical soldier but he was the stand out soldier in the whole team but he was oddly endearing in the role. The excellent vampire film, ‘Near Dark’ directed by Kathryn Bigelow, who was Cameron’s partner at the time, followed. Around the same time he met and married his second wife, Louise Newbury. Despite the critical success of Near Dark his subsequent films were mostly forgettable and he cropped up in Predator 2 before really catching the critic’s attention in ‘One False Move’ as a cop whose is drawn into the group of killers heading toward his town. It was that film and Sam Raimi’s ‘A Simple Plan’ where he stumbles upon $4m in a crashed plane that showed how good he was as a straight actor. His partnership with James Cameron was fruitful and was cast in nearly all of his films after Aliens including True Lies as a comically deluded car salesman and also in Titanic in scenes that book ended the film. It was Cameron who encouraged him to direct which came to fruiton with the 2001 film ‘Frailty’ an under rated but unnerving story where he appears as father mistakenly believing that he is under instruction from God and incites his sons to help murder demons he believes are in human form. It was sadly over looked by audiences perhaps because of its subject matter but was a very good debut but he only directed one more film in2005, The Greatest Game Ever Played which was far from the greatest movie ever made. He had undergone heart surgery recently and it was whilst recovering that he suffered complications and passed away. Eddie Murphy to make a sequel to……. Eight more things we know about Terminator 6…….